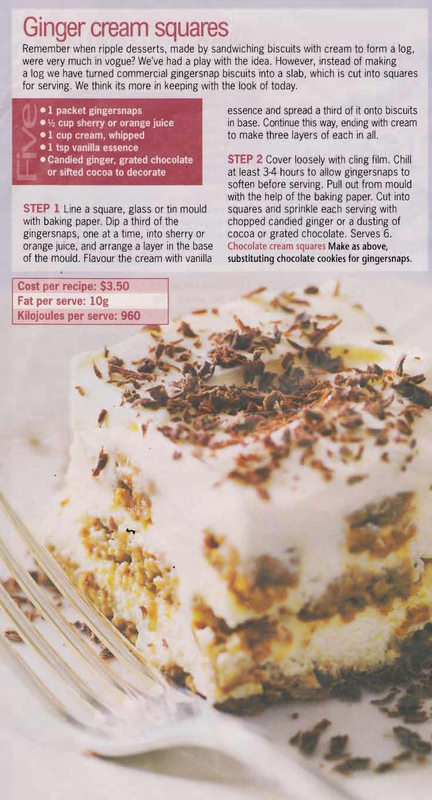 This recipe comes from a 1990s, Australian Women’s Weekly supplement entitled Old Fashioned Family Favourites. 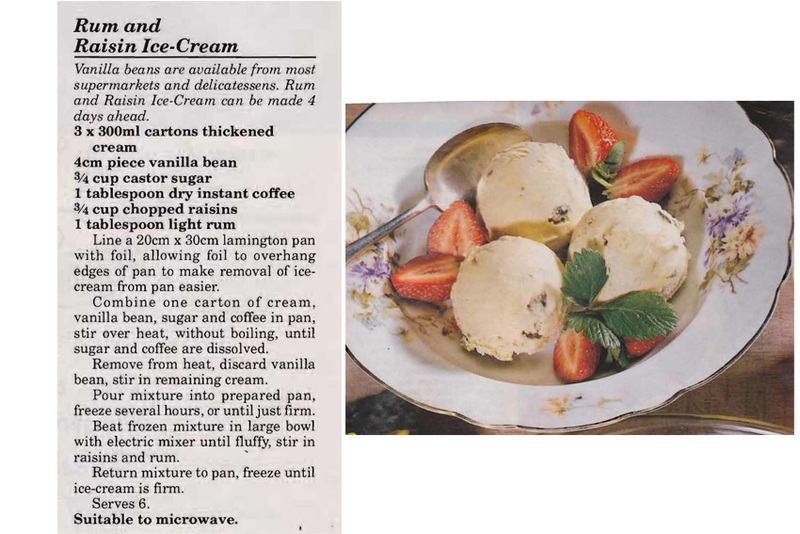 For me, the ‘old fashioned’ ice cream that Mum used to make was one that used an evaporated milk and sugar mixture that was whipped, semi frozen and then rewhipped. To me it always seemed to be very icy, nothing like today’s smooth and creamy version. 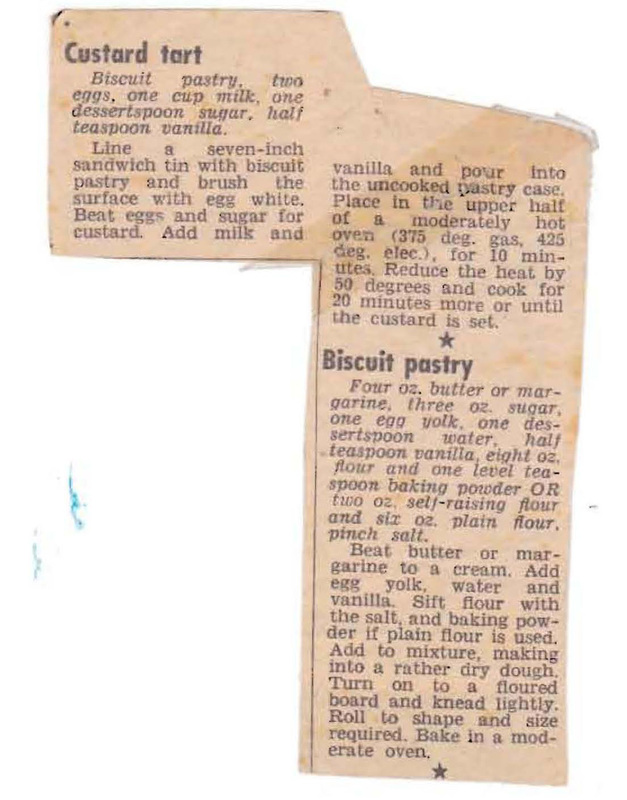 I’m inclined to think that this recipe has been ‘modernized’ to use thickened cream so I’m sure it would taste a lot better than the old fashioned version I remember. Although this is one of Mum’s handwritten recipes quite honestly I can’t say I ever remember her using it. Our whole family remembers Mum’s pancakes, how she made them individually and how you had to wait your turn for your next one – they were scrumptious. But no treacle syrup, they were always served with butter and sugar and for the more adventurous lemon squeezed on the top. Still, this does sound good, just not how Mum served them. This dessert recipe from the New Idea is an interesting take on the old chocolate ripe cake from the ’60s. Not sure you’d get away with it only costing $3.50 to make these days, but it would still be an economical dessert for 6 people. 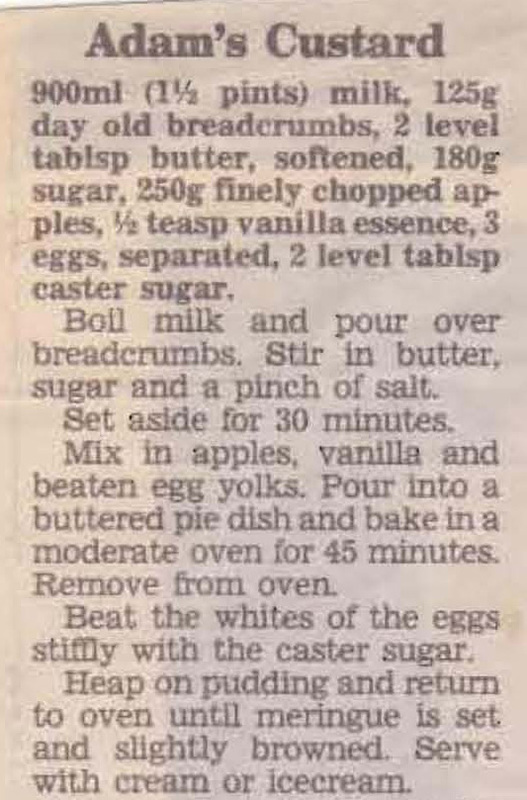 To be honest I can’t imagine why Mum would have cut out and saved this recipe. I doubt she’s ever tasted bourbon in her life and while she likes a glass of sherry or white wine, I’ve never seen her drink either brandy, cognac or whisky. She does like and often used to make the old style bread and butter pudding, maybe she thought one day she’d go wild…..
My father’s all time favourite. When I found this recipe in Mum’s collection I was instantly reminded of him. Sadly, they seem to have gone out of fashion and you don’t see them very often in cake shops or in cafes, maybe they’ll make a comeback one day. Dad really loved them. 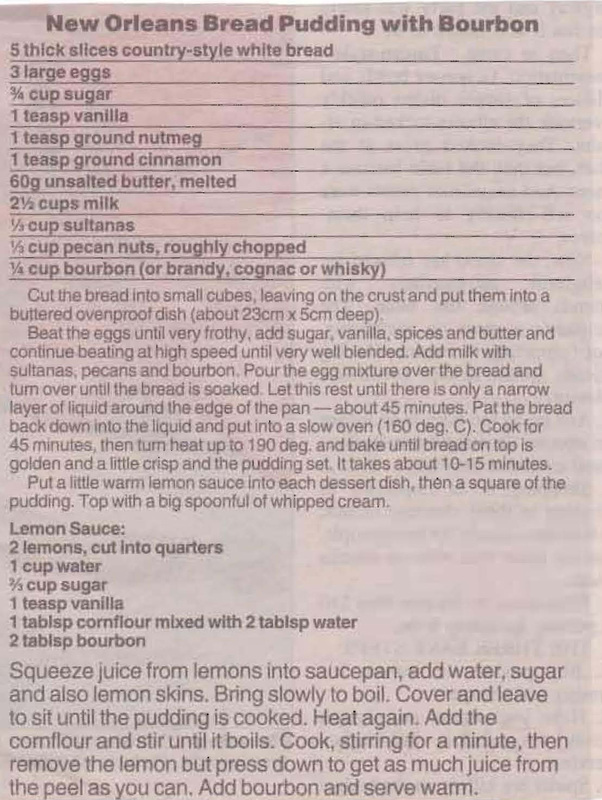 Mum collected this recipe from the Herald Sun cooking page, Checkout. The note with it says it was sent in by a lady from New Jersey in America. Just shows how even before the internet recipes were shared around the world.